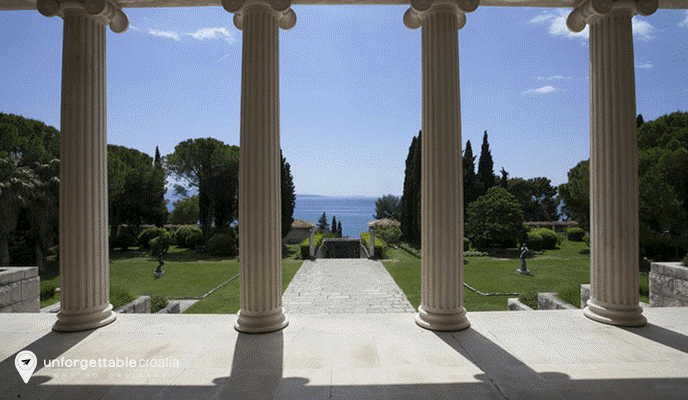 Heading to Split this Summer? We’ve summarized our pick of the Top 10 things to do in this historic city and neighboring islands. The labyrinth of streets in the old town, with its shops, cafes and restaurants, are all part of the retirement palace of the Roman emperor Diocletian. The most visited parts of the palace are the Peristil square and the cathedral of Sv. Duje. Because the palace is a residential site and the living hart of the city, the entrance is free. Visitors do have to pay a small fee to visit the cathedral, the basement halls and the temple of Jupiter. We recommend a visit to the bell tower of the cathedral. 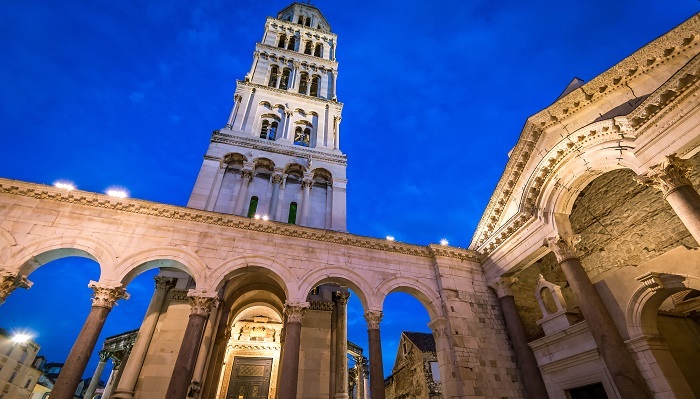 Split offers several interesting museums, such as the Archaeological Museum, the Split City Museum, the Treasury of Split Cathedral, the Museum of Croatian Archaeological Monuments, the Maritime Museum and the Ethnographic Museum. If you have to choose one, we recommend the Split City Museum. The Marjan hill is a forest park right next to the city centre. This park, located on a peninsula, is a green oasis and is often called ‘the lungs of the city’. There are countless paths and sights, but the most interesting path goes all the way up the hill to the amazing view point at the top, almost 180m above sea level. The view makes the climb more than worth it. 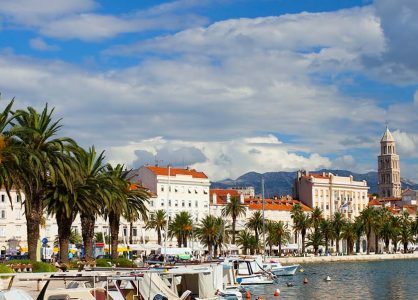 Split’s most favorite beach also happens to be a sandy beach. Just a short walk from the centre, the beach is lined with cafes and restaurants and offers sunbeds and parasols for rent. If you want to try something new, you can join the locals in a game of ‘picigin’, a unique ballgame played in the shallow sea of Bacvice beach. Used as a filming location for Game of Thrones, the fortress of Klis is a must see for anyone visiting Split. The 7th century fortress lies on a hillside behind the city and takes about 20 minutes to reach by car and a bit longer by bus. Besides the impressive walls of the fortress and the great views, Klis also offers a museum. The fortress is open daily except on Mondays. Just 5km from Split lie the ruins of the ancient city of Salona. This relatively unvisited site shows the ruins of a Roman amphitheater, a cathedral, several churches, an aqueduct, a burial ground, public baths and other interesting ruins. There is very little information available on site so we advise you to do some reading about Salona before your visit. 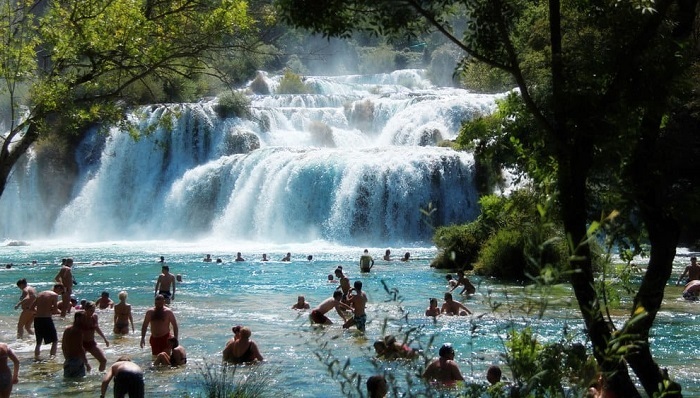 The magnificent KRKA National Park, is a mere 90 minutes from Split and boasts breathtaking waterfalls with pristine walk ways taking you through this beautiful national park. On your way back to Split, why not stop for a few hours and explore the historic UNESCO listed town of Trogir with its medieval streets and picturesque marina. 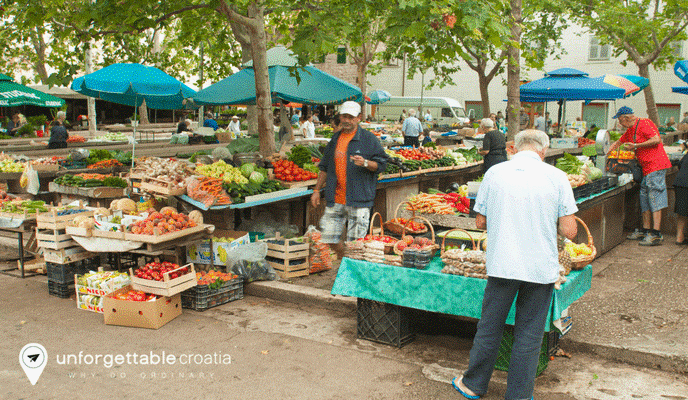 Split has a daily fish market and a green market where the freshest products are sold to chefs, locals and tourists. Freshly caught fish and seafood, organic fruit and vegetables, homemade wine and olive oil, clothing and souvenirs, you can find everything you need here. Just make sure you arrive on time, as the best products are sold quickly. Both markets start at 06:30 and we advise you to arrive no later than 09:00. Fast catamarans go to Brac and Hvar several times per day during the summer season, giving you a chance to explore these beautiful islands on a relaxing day trip. 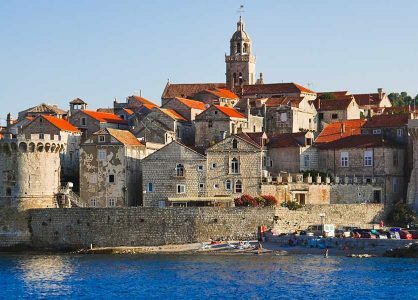 We recommend visiting the town of Hvar on the island of Hvar and the town of Bol (near the famous Zlatni Rat beach) on the island of Brac. A trip to the island of Vis is also a great option. The Cetina river near Omis is a great place to go river rafting. It is a fun activity for families, couples and groups. Kids can usually join from age 8 as the river is a category 2, which means an average difficulty level. A rafting trip from Split includes an organized transfer from the city centre. 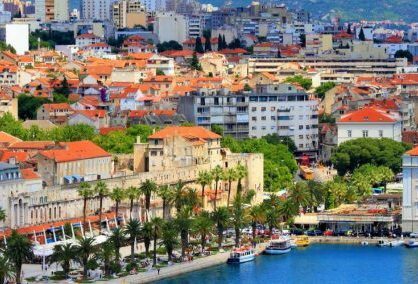 We have a fantastic selection of day trips from Split led by our experienced English speaking guides which you can pre-book before you go on holiday to avoid disappointment. Split’s green market – locally known as Pazar – is located by the east wall of the UNESCO-listed World Heritage site of the Diocletian’s Palace.